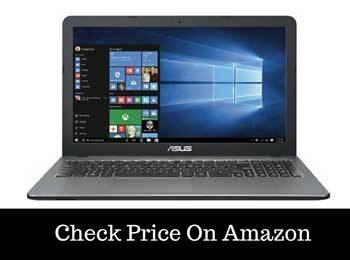 Are you searching for best laptops under 30000 Rs.? If yes, then here is a good news for you. In this post, I have listed top 10 best laptops under 30000 Rs. We research and spend a lot of hours to make this awesome list. However, there are many options in this category. Which one is the best for you? What to buy? 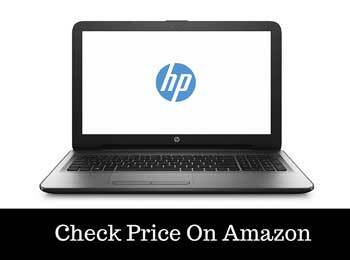 Do not worry, I will help you in deciding the perfect laptop for you in the 30000 price range. Laptops are a part and parcel item of our everyday life. It helps with all sorts of things such as sending emails, surfing the web, watching movies and videos etc. So, without having a good laptop life is like boring. I hope you agree with me above mentioned the line. Now, it’s time to make your life more beautiful and amazing. Before I show you the list, let’s have look what things you should consider before buying a laptop. Also, You can read our Laptop buying guide article. There are a few things you need to consider before buying a laptop under 30K. They are the processor, RAM, and GPU availability and gaming experience. The processor is the main component of any computer. In the under 30K price range, you will find some pretty good processors. Do not settle for processors such as Celeron in this price range. You will get Core i3 5th or 6th Gen processors without much difficulty. However, you would not get i5 or i7 processors at this price range. The RAM is also responsible for the speed of your laptop. In laptops under RS.30000, you will find ample RAM. The most common RAM in this price range is 4 GB. You can find 8 GB RAM in some models as well. Always go for the DDR3 version of RAM. This gives you better speed than its predecessor DDR2. The newer DDR4 version is even better, but the number of laptops with DDR4 RAM is lesser in this price range. GPU availability is still a long shot in this price range. You would not find a dedicated GPU in most laptops. However, you can find it in some of the models. In this price range, the gaming experience will be moderate. You can play some basic games with ease, but do not hope to play high-end games on your laptop. 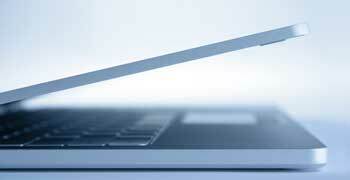 The best laptops under Rs.30000 price range are given below. Asus is a reputed brand when it comes to laptops. They did full justice with their X540LA-XX596D model. 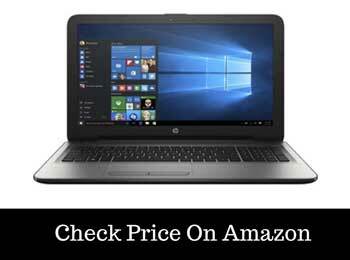 This one is perfect for users who want to buy a stylish, low price laptop. The device has some decent specs in it. It has an HD display with the resolution of 1366X768 pixels. The battery backup is quite good in this price range. It can run up to 4.5 hours, so you can enjoy long hours of work without disruption. There is no dedicated graphics engine in this laptop. This could create problems for some of the users.Also, there is no pre-installed Windows operating system. You would have to install the OS on your own. 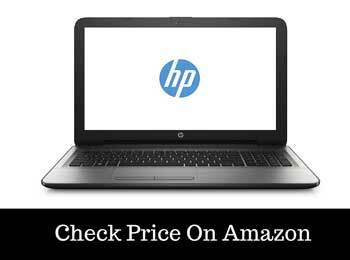 The 15-be016TU laptop from HP is for the user who wants to enjoy a Core i3 processor laptop with a lower price tag. It has 15.6-inches display size. There is huge storage memory of 1 TB available on this laptop. The Core i3 6th Gen makes up for a great processor. The battery backup is exceptional, especially at this price range. The webcam has an HD quality, so there will be no poorly captured videos. However, the only disadvantage of the laptop is it does not come with a pre-installed Windows OS. So, the user needs to shed money to install the OS again. It is heavyweight as well, so if you need to carry around your laptop with you for long periods, you might want to consider a lighter one. 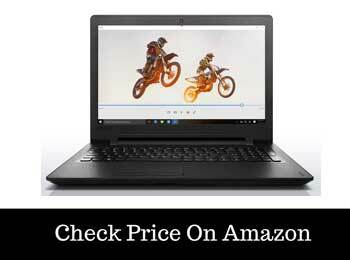 Lenovo Ideapad110 is a pretty good option in the 30K price range. The brand is a trusted one, and the laptop has some very nice specs. It is ideal for someone who wants a laptop with excellent battery backup. It has a storage memory of 1 TB, which is massive. The 4 GB DDR3 RAM is also among the very best in class. It gives better speed than its predecessor DDR2. However, it is slower than the newer DDR4 version. Battery backup is pretty much efficient in this device. The laptop can run up to 4 hours without charging. The Dolby advanced sound gives an awesome sound experience. However, it also has some downsides. The RAM is non-expandable. You can not get more RAM even if you want to. There is no DVD writer as well. That is a turn off for some users. Lenovo has another great option in this price range, the G50-80. It has some excellent features. It can handle multitasking smoothly. The Core i3 5th Gen processor is pretty fast. The 4 GB DDR3 RAM makes works even smoother. Multitasking is a really easy task on this laptop. The laptop comes with a pre-installed Windows operating system. That is another plus. The battery backup is amazing, especially when considering the price range. It comes with a 2 GB graphics card. The webcam is very poor. It is really disappointing to see such a webcam in a laptop this good otherwise. 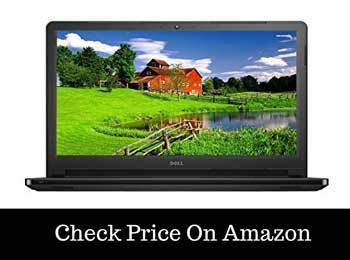 The Dell Inspiron 3558 notebook is a stylish laptop with nice specs. 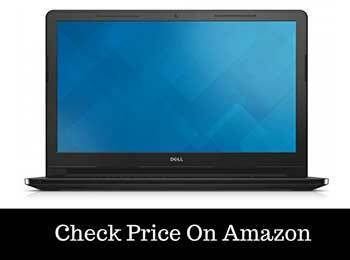 If you want a laptop to help you in your basic tasks, but you do not want to spend a lot of money, then the Dell Inspiron 3558 notebook is your answer. It comes with a Core i3 5th Gen processor, which is good enough to run the tasks. The 4 GB DDR3 RAM serves good speed. The 1 TB storage space is enough to keep your documents, videos, movies, pictures, and songs at one place. It has an inbuilt Windows 1o operating system. This is huge plus point. The hard disk storage, as mentioned earlier, is really sufficient to keep all your data safe at one place. There is a downside as well. The laptop does not have a dedicated graphics card. This is a bit problematic, especially if you are a serious gamer. In that case, if you want to enjoy superior games on your laptop, it would be best to avoid this laptop and go for another one. The HP BA021AX is a great choice in the under the 30K category. It comes with an AMD Quad-core processor. The device has a huge memory storage of 1 TB. You would not have to worry about running out of space. It has a 2 GB graphics, video editors will find this extremely useful. The 4 GB DDR4 RAM is the latest version, this helps you to speed things up. However, there is no pre-installed Windows Operating system. The user needs to spend more money to install one. The RAM is non-expandable, so there is no way of adding any extra RAM to your laptop. Another option worth considering is the HP notebook AY542TU. 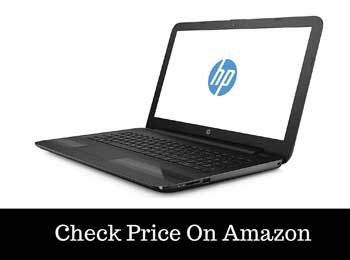 The brand is one of the leading ones on laptops and they have created another good product. The laptop comes with a Core i3 6th Generation processor, which is a pretty good one. The massive memory storage of 1 TB lets you keep all your movies, songs, pictures, documents etc. all at one place. The 4 GB DDR4 RAM gives excellent speed in your tasks. It comes with a DOS operating system, so you need to install Windows Operating system on your own. The volume of the laptop is particularly low. Another big player in the laptop market Dell has a product under the 30K price range. The Inspiron 15 5559 is the laptop you can check out. The device comes with a Core i3 6th Generation processor that gives you amazing speed to finish your tasks. A massive storage of 1 TB lets you keep all your data at one place. 4 GB DDR3 RAM is ample enough to give you proper ease. There is no pre-installed Windows Operating System in it. That can be a huge turn-off for some users. The speaker quality is not up to the mark. The 15-be011tu from HP is another good option to consider. It comes with a Core i3 6th Gen Processor. The battery backup is quite good. It can last for long hours. The 1 TB HDD space is ample. 4 GB DDR4 RAM gives you the utmost speed. The graphics are not enough for video editors to work with. The speaker quality is below average. Dell has a very good option to consider under the 30K price range, the Dell Vostro 3568. It is a good laptop from a reputed brand. It has an Anti-glare HD LED monitor that helps to keep the eye under less strain. The massive HDD space of 1 TB helps you to keep all your data in one place. The 4 GB DDR4 RAM is of the finest quality. The Ubuntu Operating system might not be satisfying for many users. The graphics are not enough if you want to edit videos on your laptop. 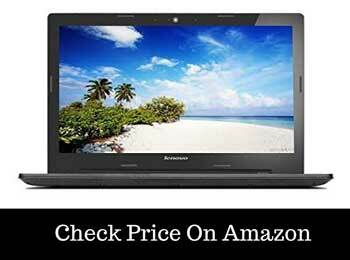 For editor’s choice, I have selected some of the laptops from the list keeping in mind the various needs of yours. If you want massive storage space and a good amount of battery backup to work for long hours on your laptop, go for the Hp 15-be016tu or Lenovo Ideapad 110. 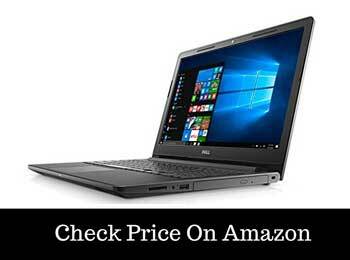 Also, If you want better RAM and pre-installed Windows Operating System, you can buy the Dell Inspiron 3558 notebook or Lenovo G50-80. If you are a video editor and want good graphics in your laptop, the HP 15-BA021AX and Lenovo G50-80 laptops are your answer to that. So, these are the best laptops under the 30K price range. I hope I was able to help you. Now you know everything you need to know to buy yourself your favorite laptop. Thank you for reading! Share your thoughts and feedbacks in the ‘Comments’ section below. Stay tuned for future articles! Until then, happy shopping! Thanks for the informative post, can you help me to find out the best laptop with pre-installed windows. Thanks for shorting out my list… im going with Lenovo Ideapad110 how is it?